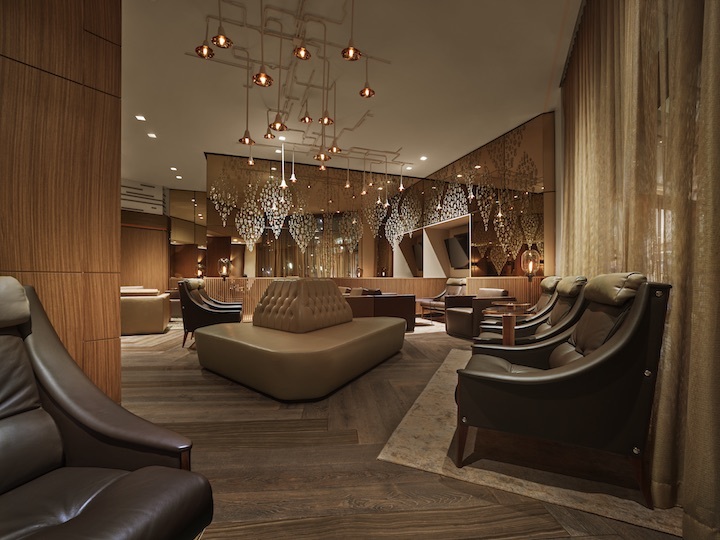 Davidoff has opened a new flagship store and lounge in lower Manhattan. The new location, called Davidoff of Geneva - since 1911 Downtown New York City, comprises 2000 square feet in Brookfield Place, a luxury shopping destination alongside the Hudson River. "Our Downtown New York Store is an exceptional addition to our portfolio of six luxury properties, including two others here in New York, and luxury cigar stores and lounges in Atlanta, Las Vegas and our US hometown Tampa, Florida," said Jim Young, president of Davidoff of Geneva USA, in a press release. Dominican Artist Pascal Meccariello, who took part in the Davidoff Art Initiative, created an art installation celebrating tobacco leaves, which is displayed in the new new store’s lounge. In addition, this will be the only store where you can buy The Downtown NYC Exclusive cigar. This store-exclusive Davidoff blend will retail for $25.00 per cigar.